The rumors are swirling around Peyton Manning's likely retirement announcement and it seems to be sparking two very different reactions from Denver Broncos fans. On Facebook yesterday, there were those celebrating Manning's time in Denver and there were those spewing vitriol over his final season here. Granted, we should take anyone on Facebook with a grain of salt, but clearly these people exist. Regardless of how mightily Peyton struggled in 2015, it should not take away from his four mostly magnificent years in Denver. Here are some of his accomplishments in just four seasons in the orange and blue. The offensive woes down the stretch had less to do with Manning than the struggles from the offensive line. A majority of the Broncos offensive drives were stalled by poor play from the tackle position, where both starters graded near the bottom of the NFL in nearly every category. I'm not making excuses, just adding perspective. The reason Manning was needed in the playoffs over Brock Osweiler was for that very reason. The experience of Manning's 18 magnificent Hall of Fame career was far more important than Osweiler's strong arm and better athleticism. And that experience led these Broncos to a world championship. So yes, we should all be celebrating his time in Denver. Even the time he struggled at the end. And don't worry, he's still going to retire. People around Peyton Manning believe he will retire, but as of now, he has not told the Broncos of any decision. 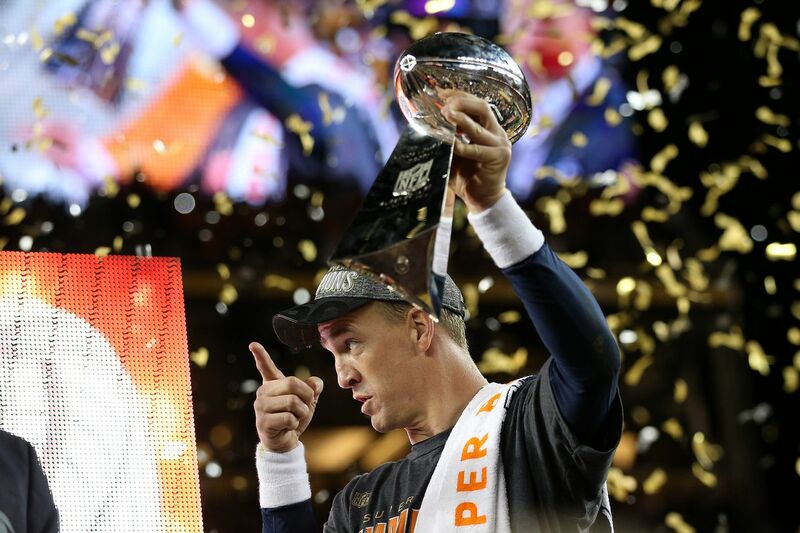 According to two sources, Manning will acknowledge his decision by the end of this week. However, a source close to Manning said it’s unlikely the quarterback will finalize his decision on whether to retire next week. The Broncos have openly disputed an item in the Denver Post that reported Peyton Manning will retire. RB Keith Marshall was fast, but the wide receivers as a group were the slowest in some time. The Broncos face uncertainty at quarterback. Regardless of who is under center in 2016, the Broncos need improvement in the passing game. OK, we all agree that the Broncos won Super Bowl 50 with the greatest defense Denver has seen since the invention of the Orange Crush. When the Denver Broncos chose not to carry over $267,000 from unused salary cap from the 2015 season, the logic behind it was unclear. Saturday saw the crop of wide receivers headed toward the NFL Draft display their talents at the 2016 NFL Scouting Combine and at least one Pro Bowl defensive back isn’t impressed by the incoming class of pass catchers. After the agents representing quarterback Colin Kaepernick began telling reporters that they have requested permission to seek a trade, the 49ers had no immediate comment. And they had no eventual comment. We all love to clown on the Browns, but we aren't all paid NFL Network hosts or analysts.